The AirVR is the latest Kickstarter project involving a virtual reality headset, except this time, it’s one that uses a separate device to create a virtual world in front of your eyes. Should the AirVR project be successful, you’ll get a custom designed headset into which you slip your device of choice.The iPhone 6 Plus is obviously the better choice, being smaller and lighter than other device, till now, if you have got the iPhone 6 Plus, the AirVR headset, you also need the 3D video resource. Why not think about your blu-ray collections and enjoying it on the AirVR via iPhone 6 Plus? Here I would share you how to enjoy the 3d Blu-ray on your iPhone 6 Plus via AirVR and give you the simple step by step guides about how to stream the 3d or common Blu-ray to iPhone 6 Plus with 3d effect. At the beginning, you need a professional Blu-ray ripping tool, it is also known as Pavtube BDMagic, which can Easily convert 2D Blu-ray/DVD from discs and folders to 3D videos in MKV/MP4/MOV/WMV/AVI formats with Side-by-Side, Top-Bottom, or Anaglyph 3D effect. You are allowed to set the 3D depth to adjust the 3D effect. If you are Mac user, please turn to Pavtube BDMagic for Mac. Step 1: Load 3D Blu-ray disc. Insert your Blu-ray disc into the Blu-ray optical drive and plug the drive into your computer’s USB port. Then launch the program on your computer, click “File” > “Load from disc” to add 3D Blu-ray disc to the program. Step 2: Choose 3D SBS output format. 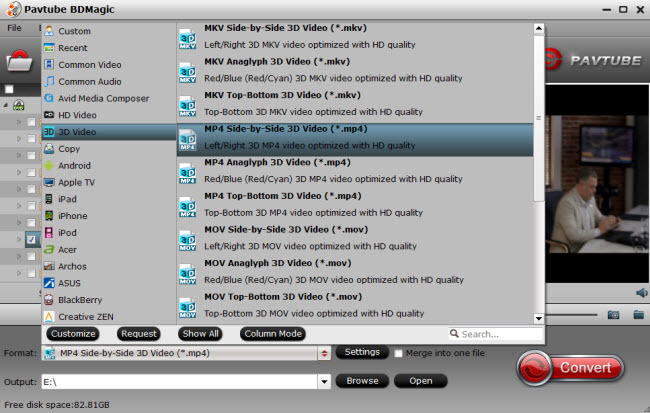 Click “Format” bar, from its drop-down option, select “3D Video” > “MP4 Side-by-Side 3D Video (*.mp4) or “MOV Side-by-Side 3D Video (*.mov)” as output format for playing on AirVR. Step 3: Start the 3D Blu-ray conversion process. Go back to the main interface of the program, hit the right-bottom “Convert” button to start to rip 3D Blu-ray to 3D SBS MP4/MOV. When the conversion is done, click “Open output folder” to locate and find all the converted files under the destination folder you have specified before. How to add and watch SBS 3D Blu-ray videos on AirVR One with iPhone 6? 1. Plug your iPhone 6s into the computer. 2. Open iTunes, select your iPhone at the top. 3. Open the Apps Menu in the left menu and scroll down to the VR One Cinema app listed under the “File Sharing” menu. 4. Select the app, click the “Add” button to search through your folders or directly drag and drop the 3D videos into the window under the “Documents” panel. 5. Feed your iPhone 6s into its custom-made tray and insert the tray into the Zeiss VR One and then don the headset. 6. Navigate to the AirVR One Cinema app on your iPhone 6s. 8. 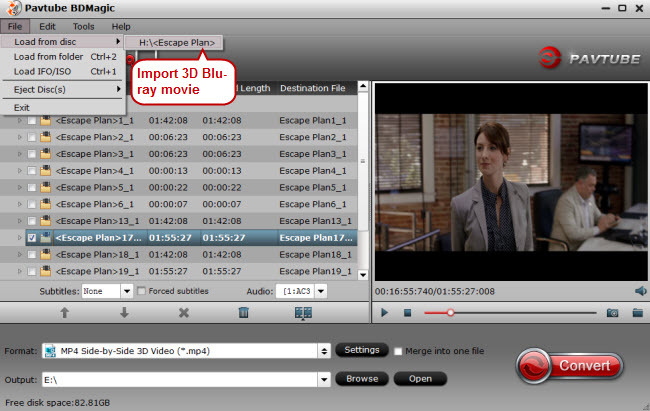 Select the 3D video you wish to play and choose the cinema mode to begin playback. 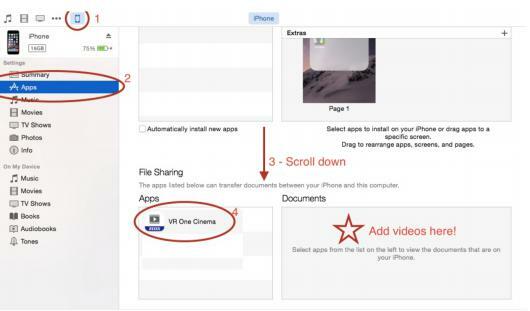 How to make iPhone 6 to play MKV/AVI/Tivo/VOB/MPG/WMV/FLV video?